When kids reach middle school and high school age, they become more advanced in their understanding of value, shape, proportion, and want to stretch their ability to mimic real life. In this age range, they start to explore realism, and distance themselves from child-like art. They begin to distinguish themselves from younger groups by honing their skills in representationalism. Middle School aged children will begin to understand light and shadow structures, and attempt correct proportions. At this age, they become self conscious about their work, and try to execute their art with accuracy and skill. Topics they will begin to tackle include portraits, life drawing, shading objects to achieve 3D looks, and learning more advanced techniques. They depart from just exploring and having fun at this age, and try out their skills in realism. 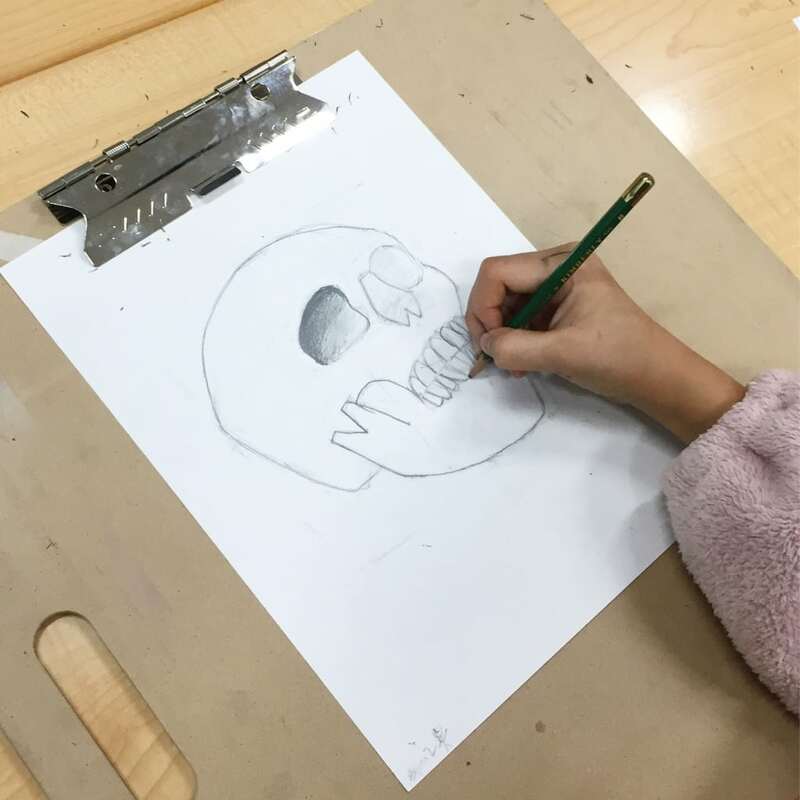 This is the age in which students decide to continue with their art practice, or to leave it for another activity, based on how much they identify with their skill in the practice. A student that identifies with having strong skill, will stay with art and strengthen their abilities. 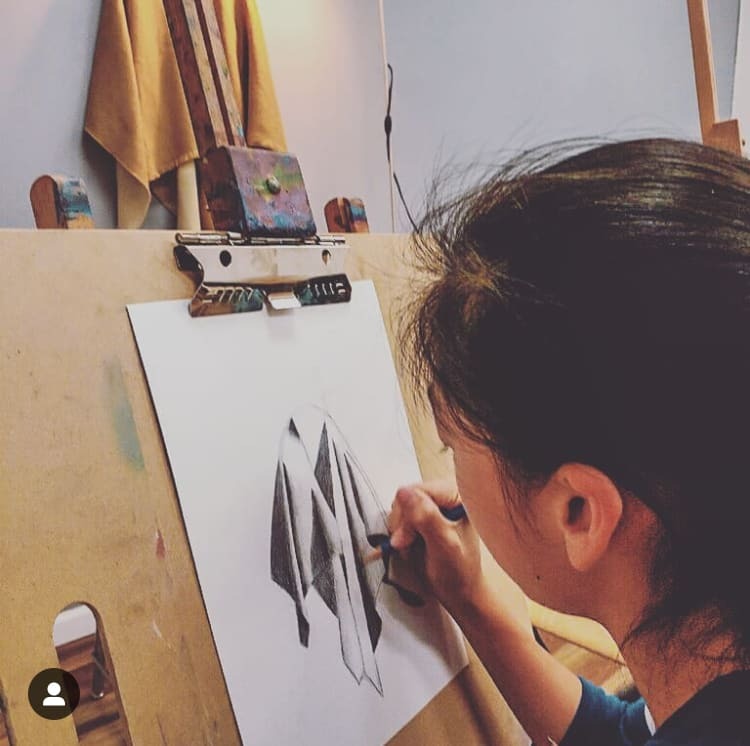 A student that is overly critical of their work and sees that they are not going to advance their skill is going to leave and disappear from the art room in favor of an activity they feel they are stronger in. Encouraging them to continue growing their work and skill with lessons will keep them from feeling this way, and they will continue to grow. As teachers, we know that art is not a skill that you have because you’re ‘Lucky’ and ‘talented’ with. Art is a skill that is taught, just like sports, music, and language. If students can find a fun and engaging studio to learn at, they can continue to grow, no matter their present skill level! This CalColor Student is learning observational skills. They are looking at their hand and drawing it proportionally with correct shading. Older kids will begin to decide if they feel identified with their skill or not. If they do not identify as being bad at art, they will leave. If they identify as having skill, they will stay. 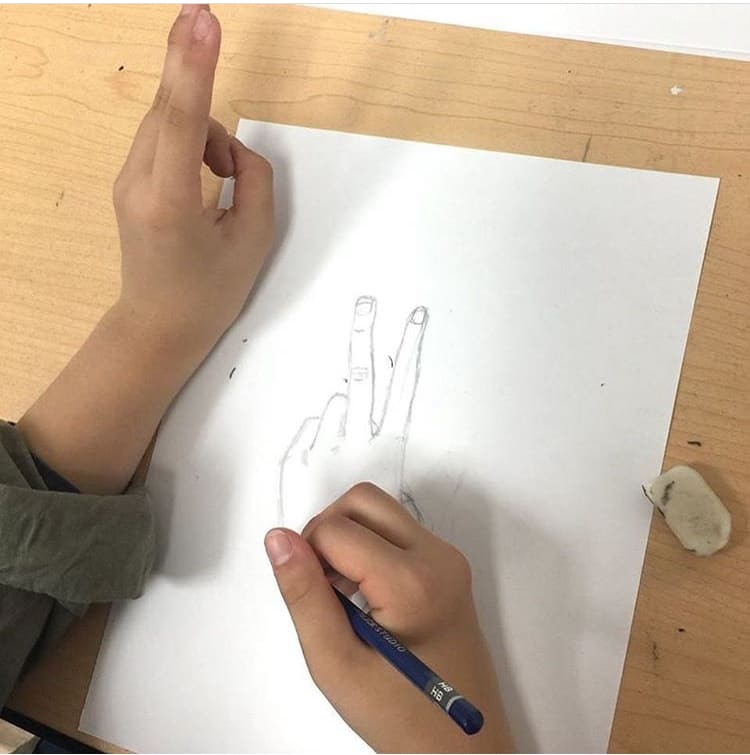 Either way, art lessons are the way to continue developing their skills! Look out for February’s post on Why Art is Important! Welcome to the CalColor Blog!